When looking to purchase a bank owned property, there are several things that need to be taken into consideration depending on whether you are able to pay cash or are planning to mortgage. the property, you must submit a letter from your bank verifying that you have the funds available to purchase. This must be presented with the initial offer. 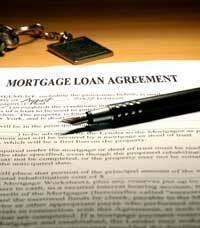 There is a huge difference between a short sale and a foreclosure sale. In a short sale, the owner of the property is selling for less than his/her mortgage, and the transaction can only go forward with the bank’s approval. The process of getting approval from the third party, or bank, is oftentimes long and difficult. Buying a foreclosed property is less cumbersome since the bank is already in ownership. It takes 5-10 days sometimes to get a reply to the offer made, but the purchase does proceed in a normal fashion once the bank accepts. It is not necessarily true that the banks are willing to accept very low offers on their properties. In fact, the level of negotiation on the price is usually limited. The prices, however, do get adjusted on a regular basis. While most bank-owned properties are winterized, they may have been winterized after the fact, and will have freeze damage especially if the heating system is a boiler. Be prepared for initial plumbing issues once the house is de-winterized for occupancy. Since the banks have no first hand knowledge of the condition of their foreclosed properties, they do not provide the standard Property Disclosures except to say that they have no knowledge of the property. Buyers must rely on inspections to ascertain if they are getting good value for their money. Call Despres and Associates, Inc. to represent you and let our expertise guide you when looking for a home without a Property Disclosure. This entry was posted in Buying Real Estate and tagged buying a foreclosed property, buying bank owned property, prequalified mortgage, property disclosure, short sale by Shirley Despres.Bookmark the permalink.